Piano Workshop - "Creating 4D Musical Texture"
Are you a candidate preparing for your ATCL and LTCL exam? Are you a teacher who is currently engaged in the ATCL and LTCL repertoire? Are you tired of just going through the motion of playing through your exam repertoire? Have you been left frustrated after spending hours on end trying to solve a 'technical problem' but seems to have gotten no where? Have you been told that the only way to solve certain 'technical problems' in your playing is by persisting and doing technical exercises? Have you found yourself in a musical and pianistic plateau because you are unsure about what to do in exam repertoire? Are you feeling deflated preparing for your exam and need a new perspective? Do you want a chance to get the highest possible mark for your exam? 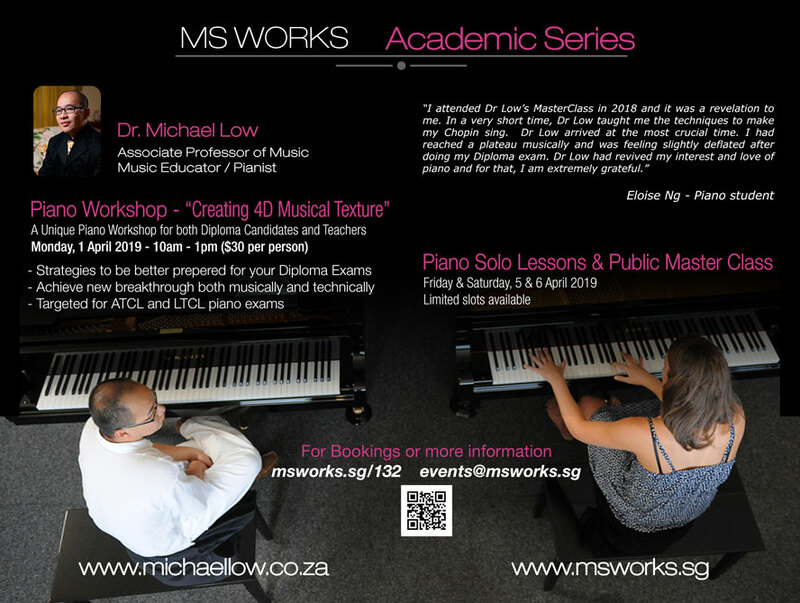 Join Dr Michael Low in a special workshop about pianistic interpretation with special focus on musical texture, lines and details in certain ATCL and LTCL repertoire. 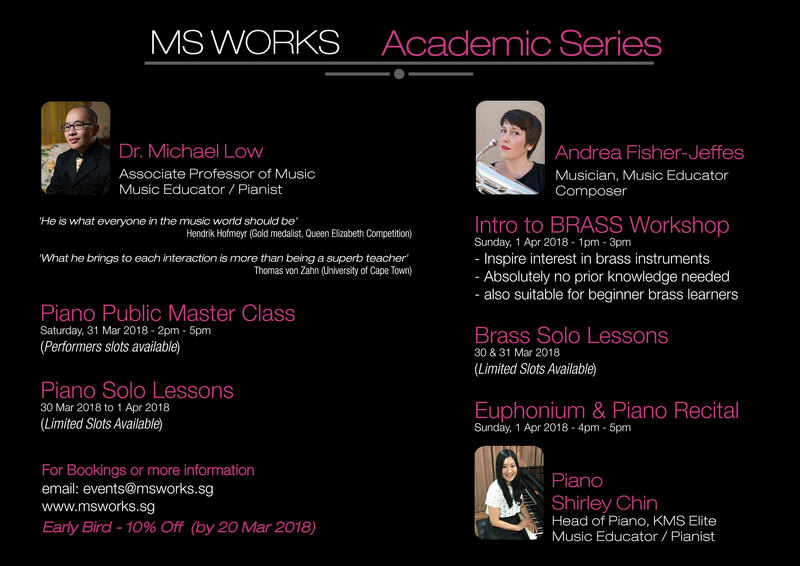 In addition, Dr Low will also help you get the best out of your vision of the piece you are playing. Don't miss out on this great opportunity to work with Dr Low! 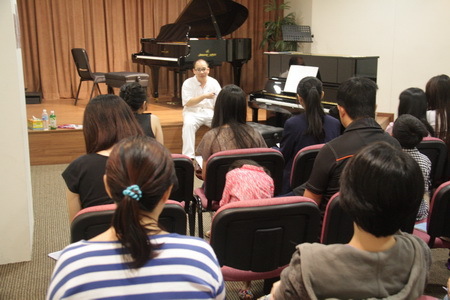 Participants are encouraged to bring along their pieces to work with Dr. Low. As a teenager, Michael studied piano under the guidance of Richard Frostick before enrolling in London’s prestigious Centre for Young Musicians, where he studied composition with the English composer Julian Grant, and piano with the internationally acclaimed pedagogue Graham Fitch. During his studies at Surrey University in England, Michael made his debut playing Tchaikovsky’s First Piano Concerto in the 1999 Guildford International Music Festival, before graduating with Honours under the tutelage of Clive Williamson.